First I have no DIY experience but watching U-Tube videos and reading forums has given me confidence to carry out this project. The problem : Doors Slamming, running down stairs etc from next door resulting in the sound echoing right through the house. Proposed Solution : To build two soundproof walls close to existing two bedrooms walls. First im going to use a metal stud system instead of timber as this looks very easy to install. I Plan on using 72mm Metal Track with 70mm Metal C Studs. 50mm Acoustic Mineral Wool sandwiched between. For decoupling Resilient Bars to leave a gap (Was looking at the GenieClips and Furring Bars but are much more expensive). Layer of 15mm acoustic plasterboard leaving small gaps around perimeter and sealed. Followed some kind of Mass Loaded Vinyl such as SoundTec SY 70 or Green Glue and another later of Acoustic Plasterboard. 1A. Would it be ok to install the Track directly onto the carpet? 2A. Ok to leave the skirting boards on and just have a small gap at the sides? (So instead of having the outer tracks connected to the side walls). Im thinking should be ok as the plasterboard is getting connected to the Resilient bars. 3A. Was thinking of installing the wall one track width away from the party wall so approx. 72mm. Is this sufficient? 1C. From my understanding to stop the two Acoustic Plasterboards from vibrating some kind of Mass Loaded Vinyl or Green Glue Needs to be used between them. 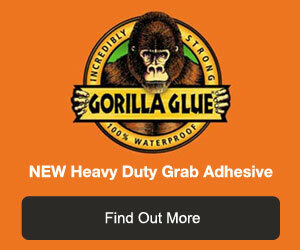 Is Green Glue cheaper and just as effective? And if so how much needs to be used? 2C. The Second layer of acoustic plasterboards has to be staggered. So do I use screws that will go through both plasterboard or through the Resilient Bars too? Obviously have to make sure doesn't go through to the Metal C Studs. 1D. Im guessing sound is still going to come through under wall directly under the floorboards and up through the floor. So apart from the obvious of having a good thick carpet underlay would lifting the floorboards up and adding say acoustic mineral wool against the wall underneath, help?